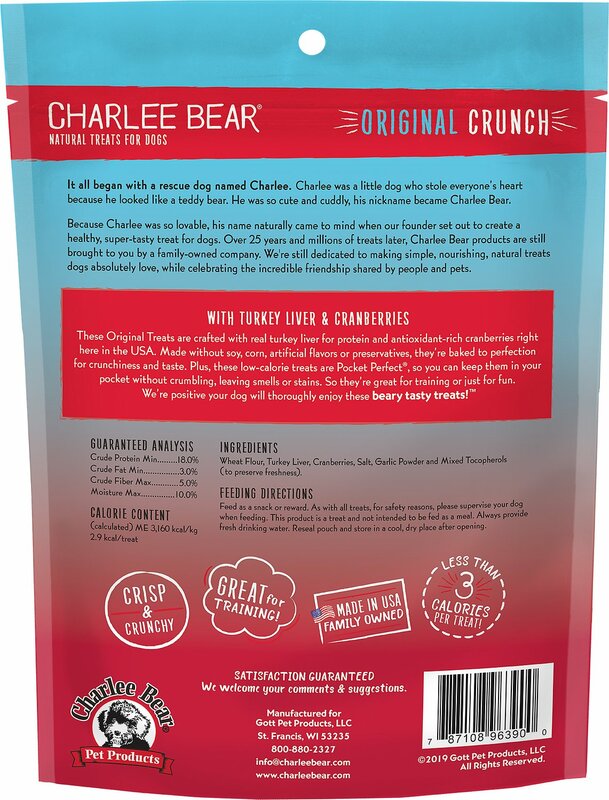 Give your dog the flavor-packed, natural taste of home with Charlee Bear Turkey Liver & Cranberries Flavor Dog Treats. They're made with real, wholesome ingredients, just like mom's homemade biscuits! Great for small dogs, large dogs and all dogs in between, you can use them to treat your dog anytime—whether you're congratulating them for great behavior or just saying, "I love you!" Plus, they're perfect for training because they're stain, smell, and grease free—which makes them pocket perfect, so you can be ready to reward anytime. Wheat Flour, Turkey Liver, Cranberries (Preserved Naturally with Vitamin E), Salt (2 Tablespoons Per 100 Pounds), Garlic Powder. Our Gracie is a Charlee Bear Addict! Yes, our 8 yr old Brussels Griffon spends most of her day at the cupboard, barking for a Charlee bear. She does something she thinks is cute, she runs over there, her 5 sisters close behind. They know to sit behind her, she takes her Charlee bears THAT seriously. We have to make sure they are in our auto ship every month! Thank you Chewy!!! My dogs seem to really like these as part of the mixture of small treats I put in their treat balls. So far I have bought the liver flavor, this flavor, and the veggie flavor for them. They have liked all three. 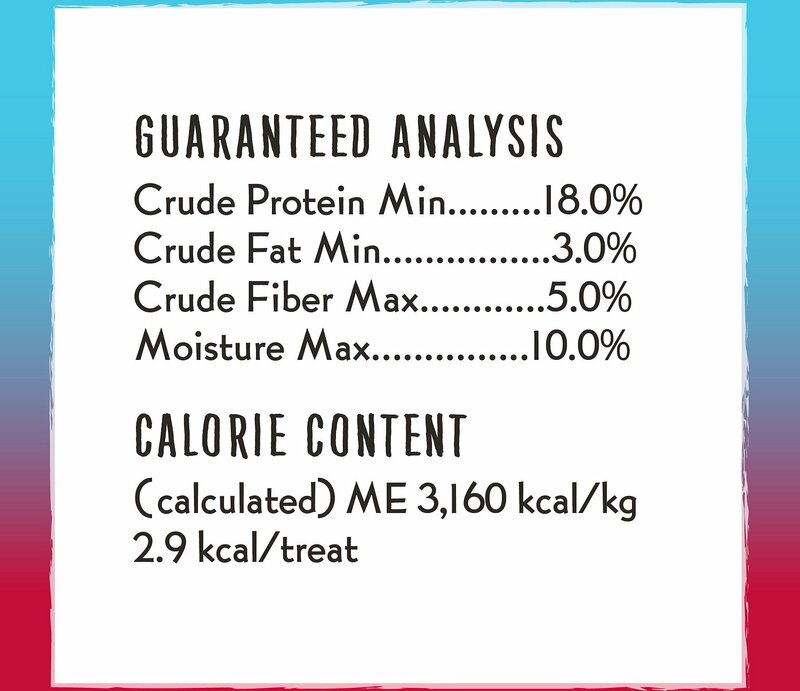 I like that they have simple ingredients and are low in calories. Will continue to buy and highly recommend. 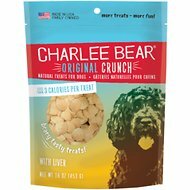 My little one loves these Charlee Bear treats. I use them primarily for training and really like that there is no smell so my pockets can be full of them at all times. They have a light crunch which she loves. I have a 5 month old Shih Tzu poodle mix, so they are perfect for puppies, but I imagine that we will be using them long after the puppy stage. 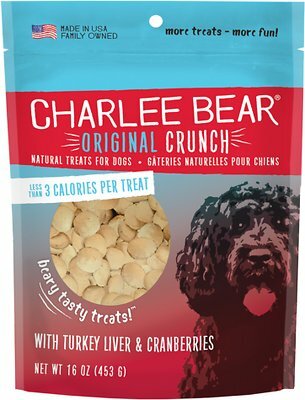 I've been using Charlee Bears with my malamute for years. He loves them, and I love how easy they are to carry in pocket or bait bag. My local feed store recently stopped carrying them, so I'm glad I can order them from you. Perfect treats for our diabetic dog! We have a diabetic dog so her treat selections are very limited. These treats are perfect and allow us to give her a few treats. She loves them! 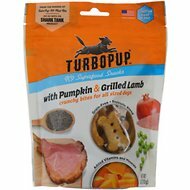 My dogs love to eat this product. They like it better than other products. My Sheltie likes the other flavors so I tried these. She LOVES these. Carry them with me on walks. She is not terribly food motivated and was mildly interested in other flavors of Charlee Bear, but she seems to really like this particular flavor. It makes a great training reward for her. I use these all the time for behavior and for snacks at my meal time. He enjoys them so much and they are not as fattening as some treats.